Microsoft is looking to "democratize" artificial intelligence for sales, marketing and customer service -- and turning up the competitive heat on Salesforce. Microsoft Corp. (Nasdaq: MSFT) is launching three new applications in its Dynamics 365 customer relationship management (CRM) line, to "commoditize" and "democratize" AI for enterprises, Alysa Taylor, Microsoft corporate vice president for business applications and global industry, said in a press briefing Tuesday. Dynamics 365 AI for Sales is designed to empower sellers and sales managers with greater insights into interactions with prospects, sentiment analysis, and recommend logical next actions, such as which contacts to prioritize. The software is intended to help managers coach individual sellers. Dynamics 365 AI for Market Insights turns AI to marketing. 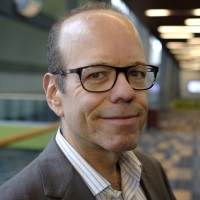 "This allows organizations to harness the vast amount of social sentiment, be able to analyze it and then take action on how to do things like increase brand loyalty, as well as understand what newsworthy events will help provide different brand affinities across an organization," Taylor said. 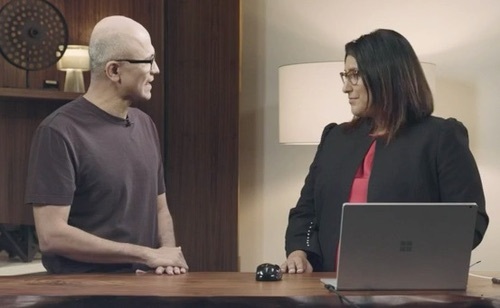 Navrina Singh, Microsoft principal product lead for AI (right), demonstrates Dynamics 365 AI for Customer Service for CEO Satya Nadella. And Dynamics 365 AI for Customer Service allows individual agents and managers to understand and predict customer service problems before they become a real issue. "We at Microsoft can make every company an AI-first company," Microsoft CEO Satya Nadella said. Where Microsoft sees dealing with individual service requirements as a hassle, IBM touts its ability to deal with them as one of its strengths. IBM boasts about its teams of service representatives and vast stores of industry-specific data that enable IBM to customize AI (which IBM calls "cognitive computing") to each particular company's specific needs. Dynamics 365 AI for Customer Service allows customer service reps to focus on the most important problems, Navrina Singh, principal product lead for Microsoft AI, said. She showed a scenario where Dynamics 365 helped a customer service manager identify a 5% escalation in incoming cases, and determined the spike was caused by problems with a recent product introduction. Dynamics 365 accomplishes this insight using AI and natural language processing. The service manager sees that agents are "overloaded and struggling, as evidenced by the high number of unresolved cases," Singh said. The manager can deflect traffic to a virtual agent, training it to answer customer questions. You can watch the demo, with Nadella, here.